Today in the United States we changed our clocks at 2:00 a.m. to spring forward from 1:59 a.m. to 3:00 a.m. This is called Daylight Saving Time. But not all countries in the world follow this tradition. If you click here you can find out who observes Daylight Saving Time. There’s also a really cool graph here to show you how Daylight Saving Time allows us to better use the daylight hours. In some ways I have time traveled. 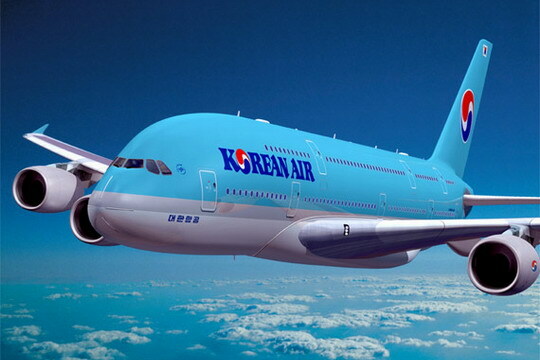 When we would fly from Korea back to the States, we would arrive at Atlanta the exact same time as when we left Seoul. Now this might not be the traditional sense that you’d think of time traveling, but I always experienced sickness (jet lag), additional time (thank you time zones) and disorientation (the differences in air and elevation). Last week I watched the movie Midnight in Paris. I loved how depending on the person, different characters yearned for a different time. 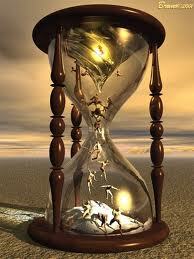 It’s interesting how people never thought of their time as the time to live in. So to celebrate the concept of time, I’m giving away two fantastic books that I highly recommend. 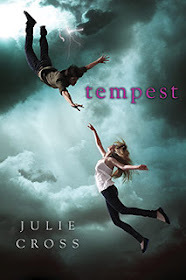 TEMPEST by Julie Cross- The year is 2009. Nineteen-year-old Jackson Meyer is a normal guy… he’s in college, has a girlfriend… and he can travel back through time. But it’s not like the movies – nothing changes in the present after his jumps, there’s no space-time continuum issues or broken flux capacitors – it’s just harmless fun. HOURGLASS by Myra McEntire– For seventeen-year-old Emerson Cole, life is about seeing what isn’t there: swooning Southern Belles; soldiers long forgotten; a haunting jazz trio that vanishes in an instant. Plagued by phantoms since her parents’ death, she just wants the apparitions to stop so she can be normal. She’s tried everything, but the visions keep coming back.So when her well-meaning brother brings in a consultant from a secretive organization called the Hourglass, Emerson’s willing to try one last cure. But meeting Michael Weaver may not only change her future, it may change her past. As you can see, both of these books have fantastic plots, but they also have characters that are real and worth reading about. I cannot wait for their sequels! So how about you? If you could time travel, where and when would you go? Fill in the Rafflecopter form below by Mar. 18th to win! No particular time of day, but always somewhere between a Friday night and Sunday night. 1981 – I was in college and had one of the best years of my life. I think I’d like to travel back to pioneer time, since I’ve always been interested in that time period, even though it would be challenging. It would be interesting to compare it to now. The idea of travelling back to previous time in my own life is interesting too — especially if I got to keep the knowledge and “wisdom” I have now. Would you do anything differently? I would go back about 1 year to the moment my 1 year old threw away the remote to our brand new DVD/VCR player and I would STOP HER. I still miss that thing! These are all so great! I have been loving reading your responses. Car and Andrea- I loved the Little House on the Praire books too! I would go back to the Victorian era I love reading books from that time period so I think it would be rather interesting. I would go back about a year and a half (before my best friend died) to let her know how much she has and will ALWAYS impact my life. Always matter to me, and that she will always be in my heart. Wow there are a lot of choices. Maybe back to the 60s, but then I’d have to live through disco again. Can I stay in 1966? Everyone says they would go back in time, but I think I would prefer to go forward in time. Try a hundred years in the future, roll my eyes at how human nature doesn’t change, grin at the gizmos, and come home. XD That sounded slightly cynical. I know, too many choices! I love your idea Kathrine to go forward into the future. There’s another whole thought! Glad you enjoyed reading Tempest and Hourglass! I’m with the folks who would travel to the future. I love Antiques Roadshow and it’s always so interesting to see the things that were meant as throwaway items at the time, that are now worth tons of money as collectibles. I so want to know what we use now without a second thought that will become desirable in the future. I’d also love to see how technology changes. And another thing, what do we use now regularly that will turn out to be hazardous to the health of future generations? Smoking wasn’t thought of as harmful for a very long time, and now look at us, turns out it’s an addiction that you have to be cured of, and has much further-reaching effects than anyone thought. I would travel to the future but then again, I am scared of what I might see. I would time travel into the future just to have the technology Tony Stark has. I’d probably want to travel during the time of a revolution, like the French or Haitian…or to like the Renaissance period or maybe the 20’s. Something with historical meaning. I’m not sure what time period I would like to visit. Maybe England during Jane Austen’s time. I think I’d travel back to my childhood. I’d be with my family and all the other people I love who are now gone. Besides, I had a lot of fun. I would Go Into the 1920’s because woman had the right to do anything! Between the 1980-1990’s life was less complicated back then! I would travel to the future…just to see what it’s like. If I could time travel, to the Victorian era I would go. I just love the aura of mystery as well as the portrayal of the Victorian era in so many novels, such as Clockwork Angel, Clockwork Prince, etc. I want to see how true to the real Victorian Era those books are. No offense to their authors, but it would be a nice experience.